These soft, buttery caramels are perfect for a small group to a large school. A perfect idea for a Church, Sunday School class or Women’s Club. 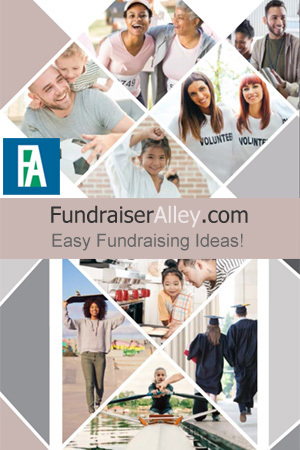 The order-taker brochures make fundraising risk-free and no money up front is needed, and earn a 40% profit. These yummy caramels are made in the USA of only the freshest ingredients, including real cream and butter…made the old fashion way in copper kettles over an open flame. 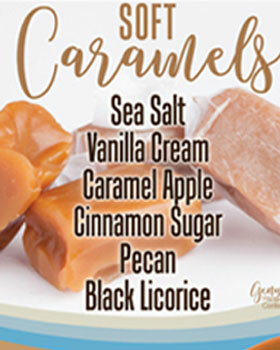 There are 6 flavor choices including: Sea Salt, Vanilla Cream, Caramel Apple, Cinnamon Sugar, Pecan, and Black Licorice. These are a little different from the usual candy products and will make a nice fundraiser. 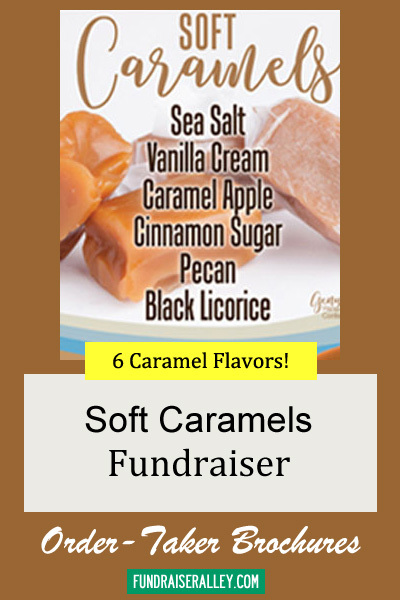 We recommend the Soft Caramels Order-Taker for Schools, Churches, and Clubs.